These days it’s easier than ever to become a music star. Of course, there is a lot of “politics” involved in the process, but it’s never been easier to propel yourself from someone who is making music in the bedroom to a world wide phenomenon. The music industry knows it, the radio stations know it and ultimately, the music fans know it: the future of music is on the Internet. But don’t get the story twisted, in order to become famous on Youtube, you need talent and a way to record your music. I get many questions regarding music equipment. Many of my followers are asking me to suggest the perfect equipment for building a hip hop home recording studio. As you know, I like to please my readers, so I decided to put together a low-budget setup that will get you started. 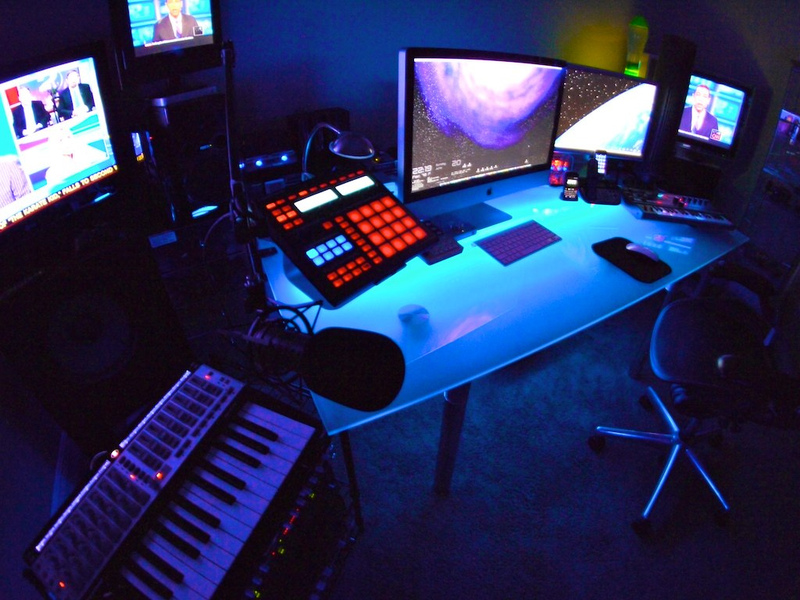 This setup is great for other music genres, but especially for rap music. Oh, and it costs only $350! How to buid a rap / hip hop home recording studio? 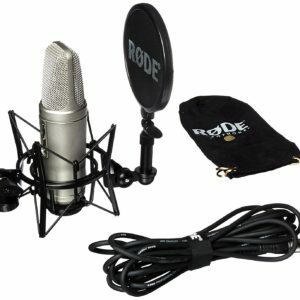 This is the first item in the hip hop home recording studio chain and you should not go cheap with it. For this type of low-budget recording setup, I usually recommend AT2020 as the best choice. But since its the upgraded version, the AT2035 got so cheap recently (around $150) that it would be a shame to miss it. If you are lucky, you might even get it in a combo offer with an audio interface. The best possible choice for a low-cost audio interface is the Focusrite Scarlett 2i2 USB Audio Interface (priced around $150 on most online stores). I have reviewed this interface in a previous post and let my give you the short version of that review: it’s an awesome interface at a cheap price. Focusrite is known for its award-winning preamps that offer transparency and crystal clear analog to digital conversion. Now, here comes the best part. At the time I am updating this article, both AT2035 microphone and Scarlett 2i2 audio interface can be found in a combo offer for $229. 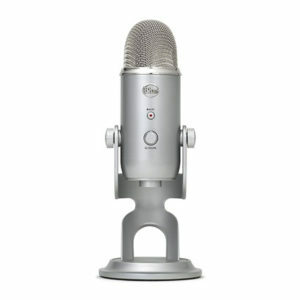 In addition, for that ridiculously low price, you will get an XLR cable and a pop filter. 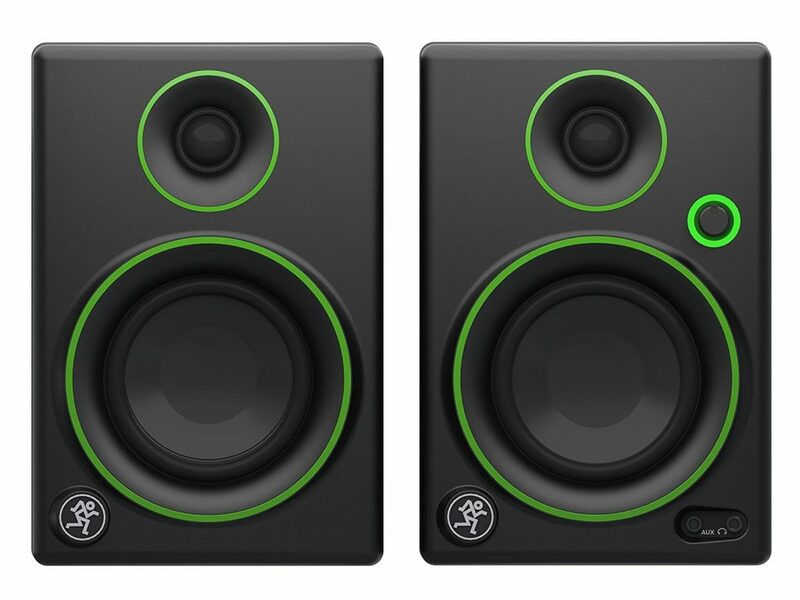 Unfortunately, the $350 budget is too low to consider a pair of expensive studio monitors, so you’ll have to work with the Mackie CR Series CR3 – 3″ Creative Reference Multimedia Monitors (Pair). They have great reviews and they will help you in the mixing process. At the moment I am updating this article, they are priced at $79. 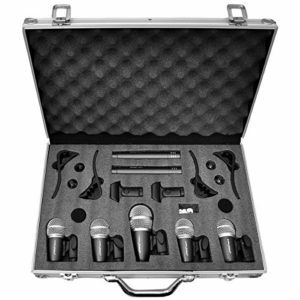 You will also need to buy a pair of closed headphones that will be used when you record the vocals. Tascam TH-02 Closed Back Studio Headphones is a good choice in this regard, and they are priced around $20. You may also want to buy a cheap mic stand that will cost around $20. This setup does not include the computer/laptop, since I guess (hope) you already own one. Also, you should know that this recording setup does not include the acoustic treatment of the room. If you want to go the extra mile, you should check this article on best acoustic foam products. As an alternative to classic acoustic foam, you can use egg crates (which are priced close to $0). They work great as audio insulators. 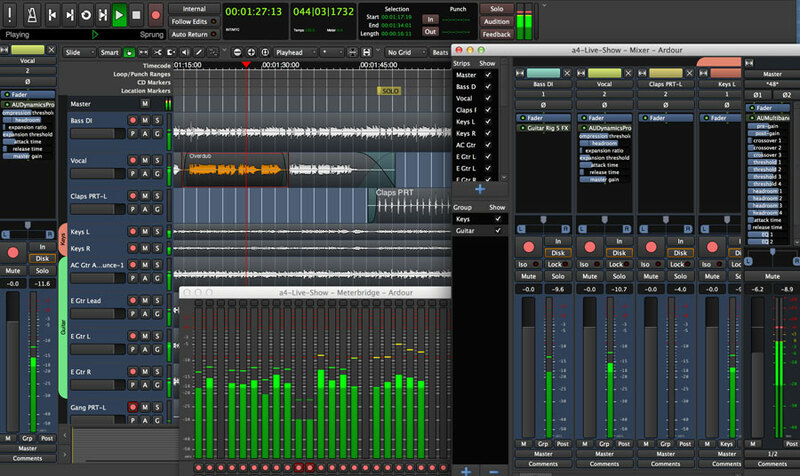 For recording songs, you can use the Ableton Live Lite 8 software + Focusrite plugins that should be included for free in the interface’s box or Ardour, an open source app that’s available for Windows, Linux and OS X. The monitors will do the job, and if you manage to handle the mix and master properly, you will be able to create music that’ll blow the speakers! Right now, Youtube is the main website to promote upcoming artists, but there are other alternatives like SoundCloud that are worth taking into consideration. Once you have a dope song, share it on Facebook, create a fan page, ask your friends to share it to their friends. If the song is good enough, you are one step away from celebrity. As Dr. Dre said in a commercial, “Good things come to those who work”. Don’t be disappointment if your first attempt doesn’t become a hit on the Internet. Get back in your studio and work harder, work later and put your soul into your music. That’s the ultimate recipe for success. What’s your favorite rap studio setup? While I understand the purpose of this article you are doing a disservice to your readers. Articles like this are why so many people waste their money on junk and never get anything close to what they are looking for. Please inform people that saving their money until they have $1500 would greatly increase the sound quality and professionalism of their craft. Trust me. 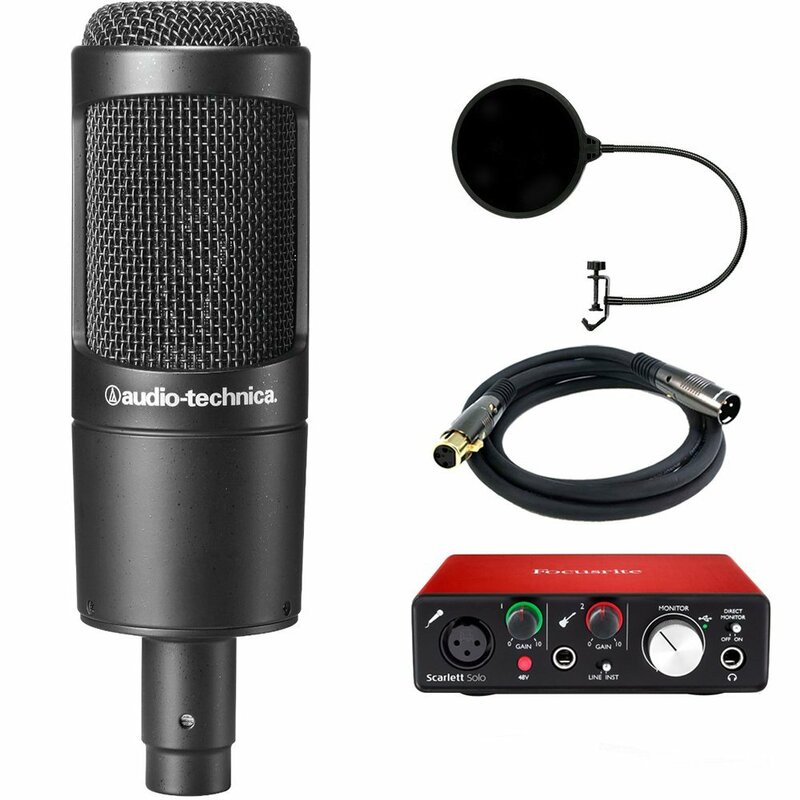 UA Apollo Twin $499 used at Guitar Center, Sure SM7B $249 used at Guitar Center, and some JBL 3 monitors $129 each on Amazon with even an inexpensive DAW like Tracktion T5 $59 will give you a chance of making a quality recording. Investing in VBT $49 as a sampling/sequencing device and you are all set. For all of the people who think this is too much to spend ask yourself, do you want people to turn your music off before they can even hear you or do you want to have a chance to shine? I have to agree with you. The best way to get where you want with your music is to invest in your sound! Never cut corners, get all the things you need at first try! My friend, at this point I have to disagree with your comment. The setup recommended by you is far from the best choice, and it’s not even cheap. Universal Audio Apollo Twin High-Resolution Thunderbolt Interface with Realtime UAD DUO Processing has 3/5 rating stars on most websites, which means that users were not so pleased with their purchase. 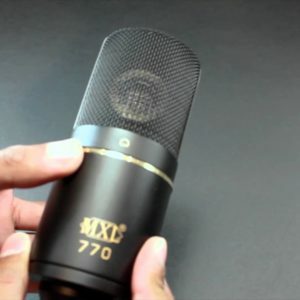 Also, the Sure SM7B is a Dynamic Voice Over Microphone, which means that it was not created for recording music vocals, but rather speeches. Oh, and both of the items mentioned above are really expensive. Martha, ur silly. 300 will get u nowhere. waste. I have to say that I got a bit suspicious when I first saw your profile photo. 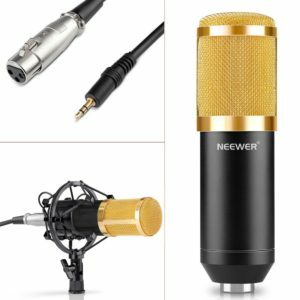 I loved the article, but I want to add a little hint for all you guys out there looking to build a home recording studio: if you will go for cheap quality that’s exactly what you will get: cheap! I have a a very nice Clavinova with weighted keys and it’s very nice to play so I notice when keyboard beds (the part where the keys contact the sensor especially) are cheap. I have never seen a low cost keyboard the plays good, they play like crap really. Something’s you can get cheap other thing forget it you will not be happy. So, my advice is to get buy something that’s good. Stop scouting for those 99% discount prices! Happy your video says that 300$ will get you a start. Is’n that a bit low though?